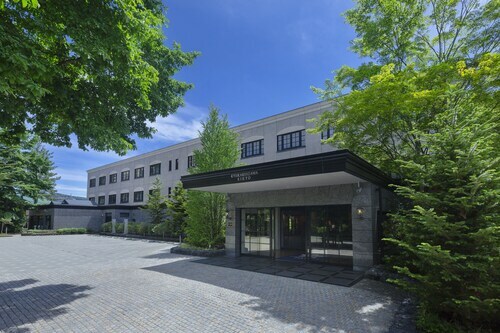 Located in the heart of Karuizawa, this hotel is within a 15-minute walk of Karuizawa Station Building Memorial and Karuizawa Prince Shopping Plaza. Karuizawa Ohga Hall and Karuizawa Flower Museum are also within 10 minutes. Karuizawa Station is only a 5-minute walk. 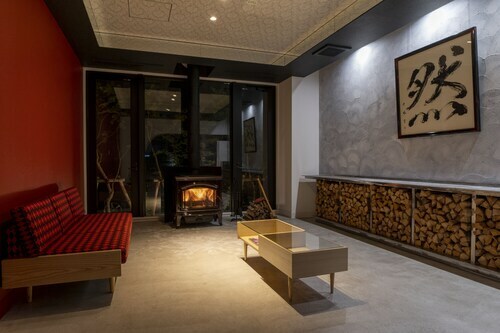 Located in the city center, this Karuizawa hotel offers ski-in/ski-out access within 1 mi (2 km) of Seizan Golf Course, Karuizawa Prince Shopping Plaza, and Minamigaoka Art Museum. Karuizawa Station Building Memorial and Karuizawa Flower Museum are also within 1 mi (2 km). Karuizawa Station is 19 minutes by foot. Located next to a golf course, this Karuizawa resort offers ski-in/ski-out access within 1 mi (2 km) of Karuizawa Ohga Hall, Karuizawa Prince Shopping Plaza, and Seizan Golf Course. Usui Pass and Karuizawa Station Building Memorial are also within 1 mi (2 km). Karuizawa Station is 12 minutes by foot. 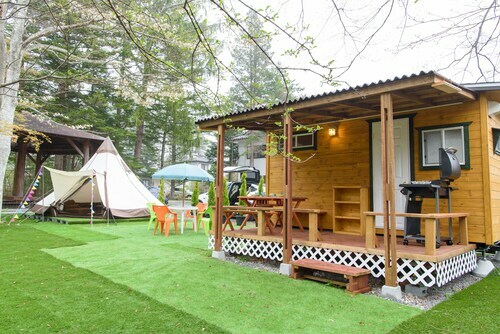 This family-friendly Karuizawa lodge is steps from Harnile Terrace and Karuizawa Church. Karuizawa Stone Church and Hoshino Onsen Hot Spring are also within 10 minutes. 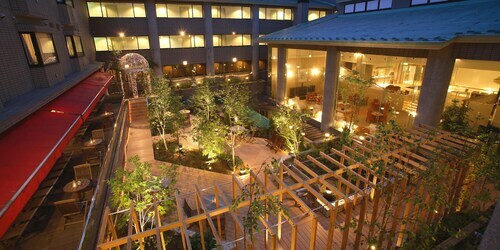 Situated on the Strip, this ryokan is within a 15-minute walk of Harnile Terrace and Karuizawa Stone Church. Hoshino Onsen Hot Spring is 0.8 mi (1.3 km) away. 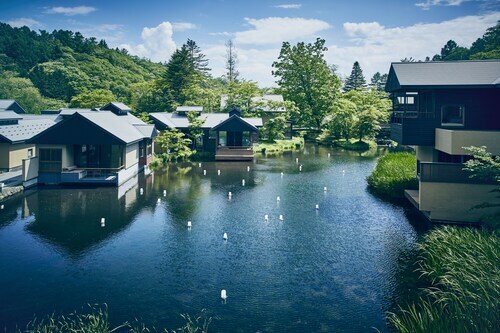 Located in Kyukaruizawa, this luxury hotel is within a 15-minute walk of Kyu Karuizawa Ginza Dori, St. Paul's Catholic Church Karuizawa, and Kumoba Pond. Karuizawa Shaw Memorial Church and Karuizawa Prince Shopping Plaza are also within 1 mi (2 km). Karuizawa Station is 15 minutes by foot. Situated in Karuizawa, this hotel is within a 15-minute walk of Karuizawa Station Building Memorial and Karuizawa Prince Shopping Plaza. Karuizawa Flower Museum and Karuizawa New Art Museum are also within 10 minutes. Karuizawa Station is 7 minutes by foot. 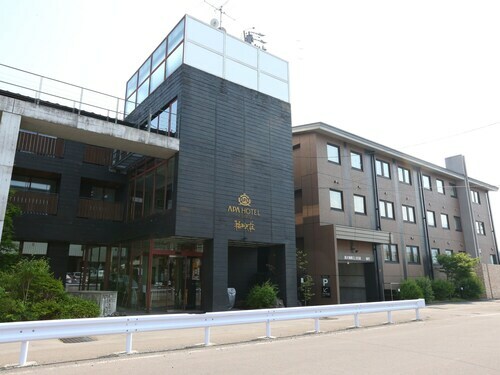 Situated in Karuizawa, this hotel is within 1 mi (2 km) of Karuizawa Station Building Memorial and Karuizawa Prince Shopping Plaza. Kumoba Pond and Karuizawa Flower Museum are also within 15 minutes. Karuizawa Station is 12 minutes by foot.